The Cahow represents the re-discovery of a 'lost' species - one that was thought to be extinct for almost 300 years. 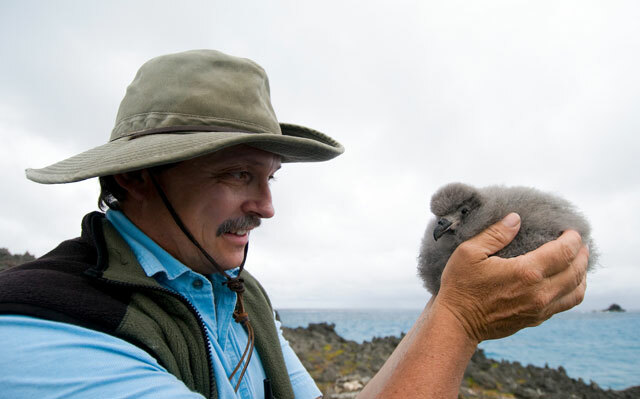 The Cahow, or Bermuda Petrel (Pterodroma cahow), is a critically endangered seabird, endemic to Bermuda and nesting nowhere else on Earth. 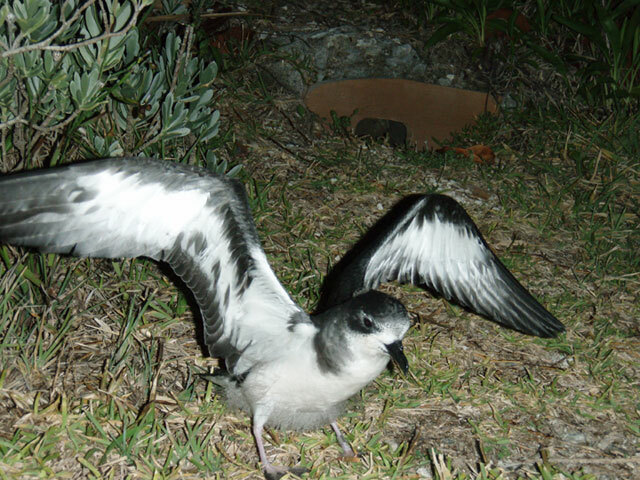 It is Bermuda's national bird and a member of the gadfly petrel family. Highly pelagic, living and feeding on the open ocean, Cahows only visit land for nesting. In the early 1500s, the Cahow was one of the most abundant species on the island of Bermuda, with up to half a million pairs nesting in deep soil burrows or rock crevices. However, pigs released by the Spanish multiplied rapidly and decimated the Cahows on the main island, eating eggs, chicks, and adult birds in their burrows. By the time the English settled Bermuda in 1609, the Cahow was already confined to offshore islands to which the pigs could not easily swim. Bermuda's settlement led to the introduction of more mammal predators such as rats, cats and dogs. These, coupled with intensive hunting by the early settlers, led to the rapid decline of the remaining Cahow population, which was presumed to be extinct after 1620. It was not until 1951 that a scientific expedition was mounted to determine whether, against all odds, the Cahow had managed to survive on Bermuda's most isolated rocky offshore islands. To the delight of the scientists, a few birds were discovered nesting in deep rock crevices. By 1962, the entire remaining breeding population of only 18 nesting pairs had been discovered nesting on several tiny rocky islets, and it was obvious that the species was on the very edge of extinction. A conservation program was begun for the Cahow and continued under Dr. David Wingate (who had been at the original re-discovery in 1951 as a 15-year old schoolboy) until his retirement in 2000. The Cahow Recovery Project continues under the direction of the Terrestrial Conservation Officer with the Department of Conservation Services at the BAMZ. The most urgent continuing threat to the recovery of the Cahow is serious erosion and over-washing of the tiny nesting islets by hurricanes and storms. Recent hurricanes have eroded some of these islands to the point where they are no longer stable and can collapse in the next severe storm. In addition, these islets are too small to enable the Cahow to fully recover and build up a stable population. 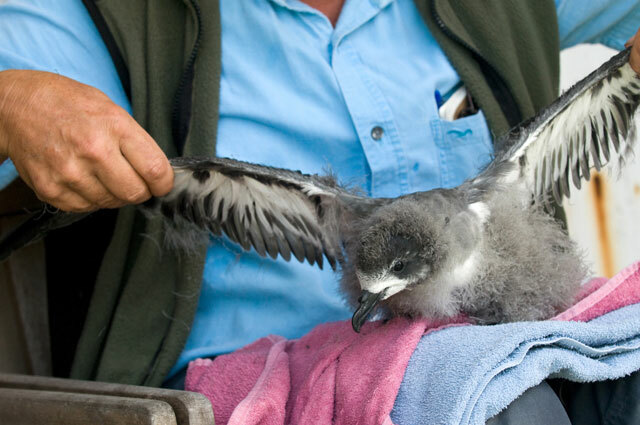 Therefore, a priority of the Cahow Recovery Project is to establish Nonsuch Island as a new colony by translocating near-fledged chicks from their natal nest sites to a new group of artificial nests built at the new colony site. There, they are fed every other day and monitored until they fledge out to sea. Over a five-year period between 2004 and 2008, 105 Cahow chicks were translocated from the tiny eroding nesting islets to nest burrows on Nonsuch. Of these, 103 fledged successfully out to sea. In 2009, 15 Cahows from the 2005 and 2006 translocations were recorded in nest burrows on Nonsuch, with at least 6 pairs of birds recorded together building nests. Although new Cahow pairs normally do not nest successfully until they have been together for 2 to 3 years, one pair did produce a chick that became known as 'Somers'. 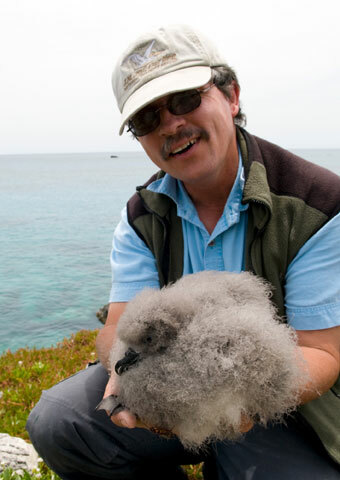 This chick, named after Admiral Sir George Somers, whose shipwreck on Bermuda 400 years ago led to the island's permanent settlement, fledged successfully out to sea on June 17, 2009. In 2009, twelve advanced archival data tags, or loggers were fitted onto breeding adult Cahows, enabling daily position fixes and sea surface temperatures to be recorded and stored while the bird is at sea foraging for food for the chick and recording where individual birds go during the non-breeding period. These lightweight tags can record data for up to two years. The project has already shown that Cahows can forage at sea for distances up to several thousand miles to gather food to feed the chick, and that they fly to much cooler waters well north of the Gulf Stream to hunt for food. 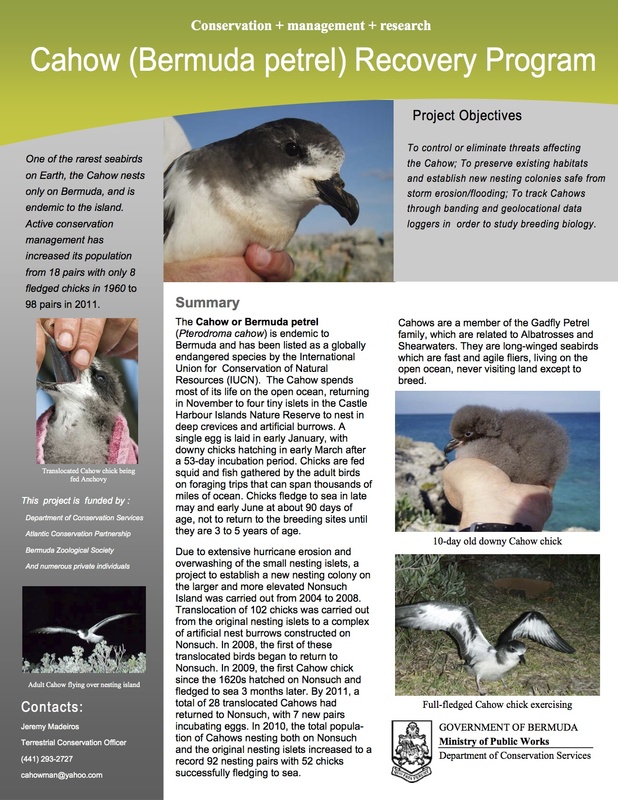 Although the Cahow remains critically endangered and is one of the rarest seabirds on Earth, the Recovery Project has enabled the Cahow to increase its breeding population from 18 nesting pairs producing as few as 8 fledged chicks in 1962 to a record 108 nesting pairs producing 59 fledged chicks in 2014. 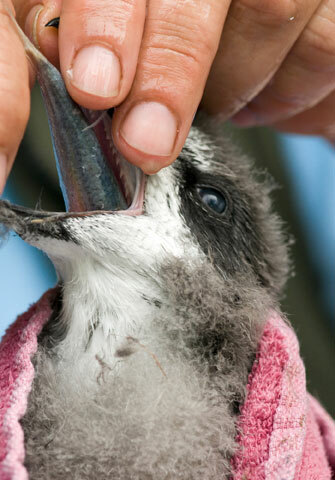 There is little doubt that the species would have become extinct without a long-term recovery program and many of the management techniques developed for the Cahow are proving important in other recovery programs for related seabirds in other countries. The Cahow has become a well-known symbol of hope for critically endangered species around the world, and with the first nesting back on Nonsuch Island, the potential for continued recovery has never looked brighter.